Tuan Ho co-founded ScholarJet with fellow Northeastern University alum, Joseph Alim, to meet a specific need. To learn why, we need to know a bit of Ho’s history. 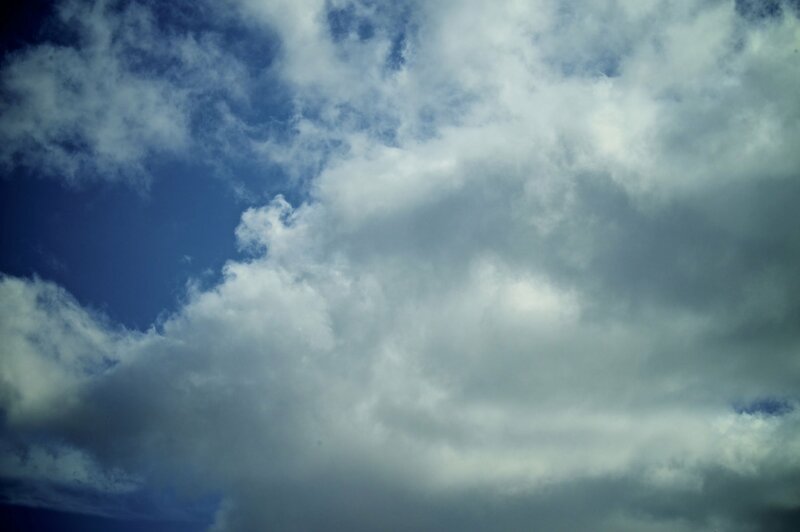 He, his brother, and his mother emigrated from Vietnam when Ho was 10 years old. She supported his drive to learn and succeed and wanted the best for both her sons, but college was beyond her financial means. They needed scholarship support. To help pay for school, Ho wrote over 120 essays, applying for 40 scholarships - without coaching or mentoring or other guidance. He learned something during all that work. The whole process of researching scholarships, sorting through which to apply for, and writing all the necessary application essays skews towards students whose first language is English, or possess advanced writing skills, or the resources to support them. The process seriously disadvantages immigrant (second language) students and students whose talents are better represented in other ways other than writing. Ho and Alim started ScholarJet to specifically to support students otherwise disadvantaged by the typical scholarship process. They seek to connect students with companies who have funds set aside for what Ho calls action-based scholarships. Scholarship applications are entirely online and students work ranging from visual art to 3D modeling, from code to developed apps. Categories of challenges include STEM, art/media, community, health and wellness, and business. 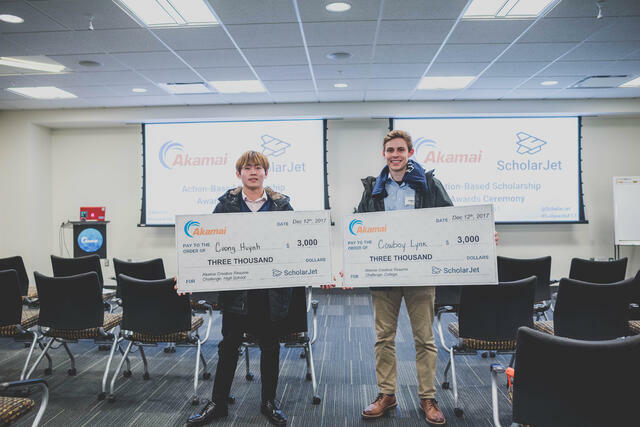 The twist is that students are the end users - ScholarJet’s key customers are the companies offering the scholarships (Akamai is one such company). ScholarJet helps these companies, who have specific budget lines for scholarship awards (for charitable purposes), find students in need of financial support. Revenue is generated from fees paid by these companies - the current price is $5,000 per scholarship. 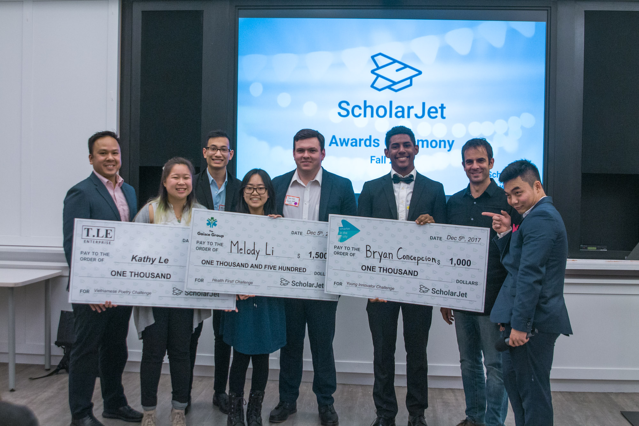 ScholarJet is hoping to grow their revenue by reaching more than 50 companies with minimum of $5,000 scholarships in the coming year. 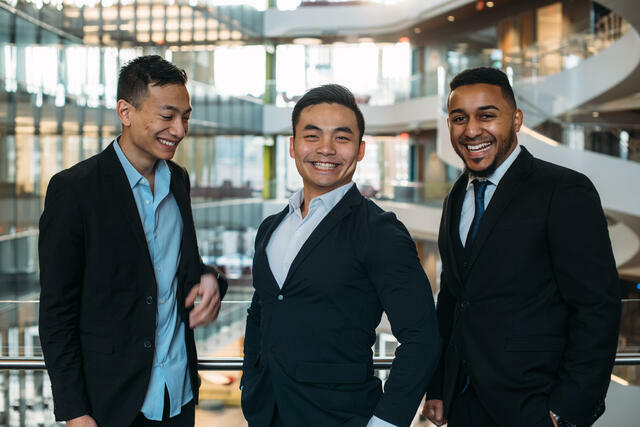 ScholarJet is a small startup with just three employees, Ho, Alim, and Francisco Calderon (another Northeastern alum), but it’s growing and meeting challenges. At the moment, there isn’t enough budget for marketing and social media so they’re doing everything themselves and always looking for volunteers to help. They especially need help reaching both high school students and new companies. Another challenge ScholarJet would like to address is how to scale the process of judging and evaluating student submissions. Currently, any company that generates a scholarship award evaluates student submissions. Ho says companies have been receptive to that model so far - the representatives understand their own brands best and are in best position to judge the work submitted. Boston Edtech Meetup hosted an event last October for startups with business challenges. Ho represented ScholarJet at the event and raised the issue of scaling up. Ho was thinking AI may be the way to go, but was looking for new ideas. While a viable solution wasn’t forthcoming, the discussions were still quite valuable in that they validated of Ho’s existing ideas - specifically that AI isn’t advanced enough to help solve their scalability problem. Ho appreciated the event and the networking opportunity. He said attending future events is helpful - especially when the subject is relevant - because several of their volunteers have come from meetups. Ho also wanted to put a call out to companies - if there are any interested in creating action scholarships, contact ScholarJet. Companies can help create diverse talent pipeline (students supported by their scholarships enter the workforce) while getting their employees engaged in the evaluation process and ultimately create better brands while having the chance to socially market a product or services.